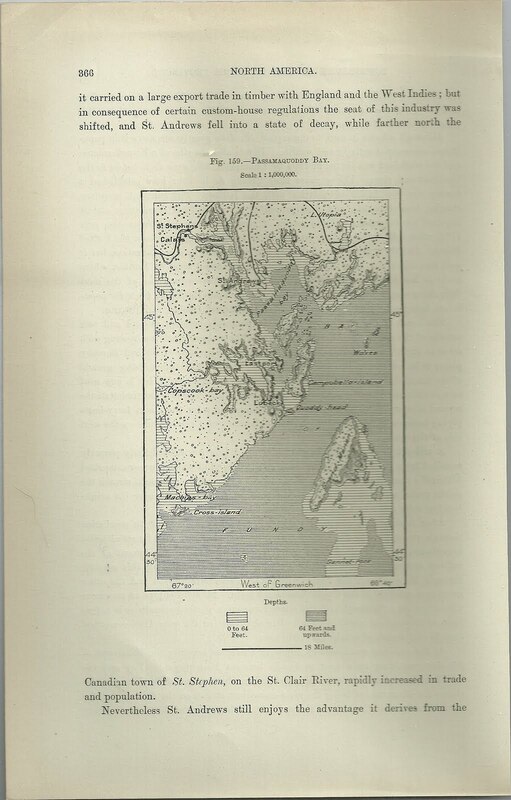 A map of eastern Maine and part of New Brunswick, Canada, as it appeared in a book from the 1800s. I found the map page removed from the book so I can't supply the title, author or publication date. Interestingly, the river between Calais, Maine, and St. Stephen, New Brunswick, is noted as the St. Clair. I assume this is a typo or error on the part of the author, as the river is actually called the St. Croix. It had other names in the past, but I'm unaware of its ever being called the St. Clair. If you know otherwise, please let me know. 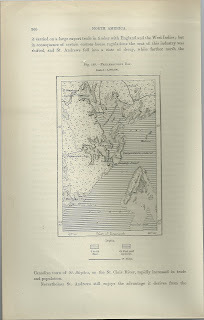 The map shows Washington County, Maine, from Machias to Calais and New Brunswick from Grand Manan Island to the Wolves.